Cats like any mammals must intake enough water to live a healthy life. Some cats can be fussy when it comes to water. They don’t drink water voluntarily. You have to keep them engaged with different ways to encourage them to drink water. You want to avoid cats becoming ill due to dehydration and always be sure that they have adequate amounts of water daily. 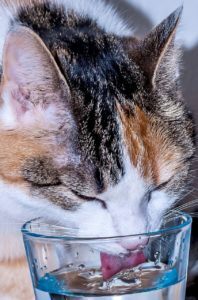 There are various ways to determine if your cat is dehydrated. 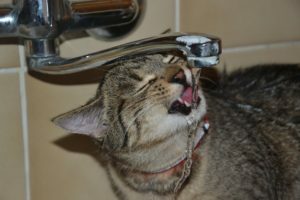 Check out our blog called How to detect if your Cat is dehydrated. 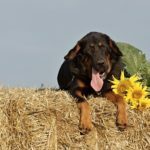 Always keep food and water in a separate location from their litter box. 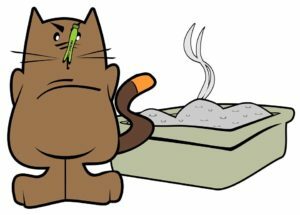 The smell and dust from the litter box could turn off a cats’ desire to eat or drink. 2. Try offer can or semi-soft food with dry, canned and semi food only, or just can food instead of dry. On the average, dry foods only contain 5-10% water, Semi-moist foods are usually packaged in pouches with 25-35% water but, canned foods contain approximately 70-78% water. It is also known that cats natural prey (rodents, birds or rabbits) are made up of around 70% water. Thus, a dry food source is unnatural to a cats diet. 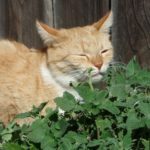 Some veterinarians believe that this is a problem for cats because they then have the potential to develop diabetes easier if they don’t intake enough water during the day. 3. You can mix the foods with each other or add water to the foods. 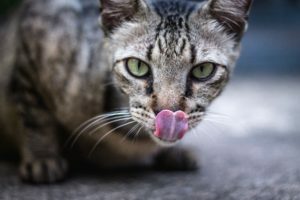 A small percentage of cats like can food mixed in with their dry food. Add water (warm) to dry or canned food. 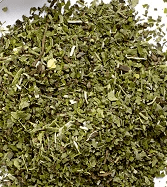 The warm water enhances the smell of the food which can also encourage a healthy or ill cat to eat. 4. Always have a freshwater source beside the food and other areas around the house. Change your cat’s water at least once a day. Have more than one water bowl per cat. If you have multiple cats, think about adding additional water bowls around the house. 5. 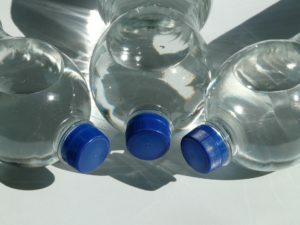 Some cats prefer bottled water or filtered water because they detect the chlorine from tap water. 6. Avoid plastic bowls as these can change the taste of water. Plastic also attracts bacteria which cause feline acne. Glass, porcelain or stainless steel bowls are best and even better if they are wider than the cat whiskers length. 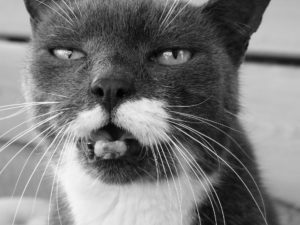 Some cats, especially older cats, don’t like their whiskers touching the bowl while eating or drinking. 7. Other cats like drinking out of mugs/glasses that humans use instead of bowls. 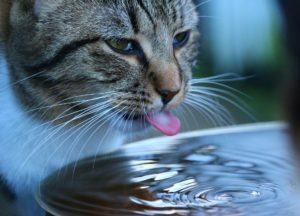 Many cats prefer running water because it’s aerated, fresh or cool to the taste. Consider buying a cat water fountain. Or allow your cat to drink from under a running tap. 9. 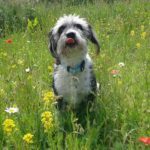 Leave water bowls in sinks, tubs or showers. Many cats like to see the water running into the water bowl knowing it’s going to be fresh instead of a stagnant bowl on the ground. 10. 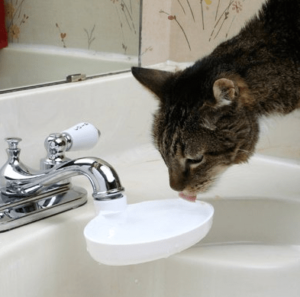 Sink Drink – attaches to your faucet and is like a fountain bowl for your cat. 11. 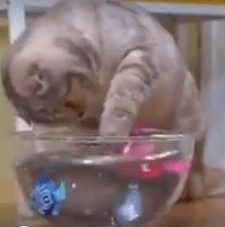 Fish Toy in a Bowl – cats love to go fishing and what better place than their own water bowl hole.